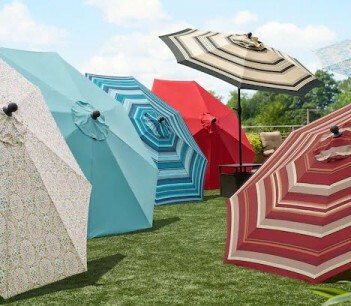 Stylish umbrella features a polyester cover with a sturdy 1.5" aluminum pole, steel ribs & air vent at the top. 108" diameter. Variety of colors available.